Alexandria's 24th Annual Earth Day centered on sustaining the environment. It was specifically themed "Clean Water Starts with You." He said there were simple things people can do to promote sustainability: pick up after your pets, don’t over-fertilize your lawn and, rather than bag lawn clippings, either compost them or use lawnmowers that churn them out. “You’re not using plastic bags and all those nutrients that are in the grass itself go back into the soil to decompose,” Scrabak said. 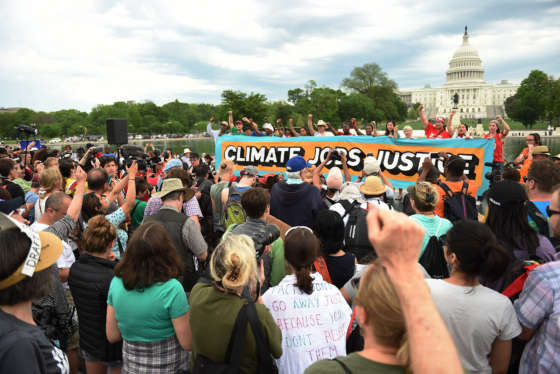 Participants in the Climate March are protesting President Donald Trump’s rollback of restrictions on mining, oil drilling and greenhouse gas emissions at coal-fired power plants. 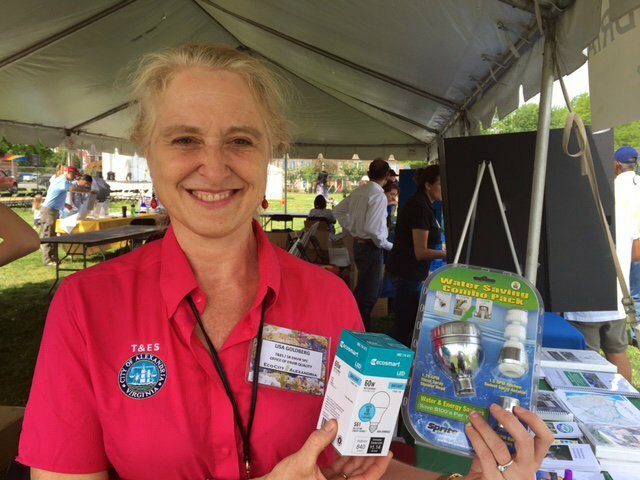 While some kids picked up free seeds for plants and vegetables, Environmental Specialist Lisa Goldberg spent hours handing out water efficient shower nozzles, energy efficient lights and packets of seeds that are bee friendly. The event was held at the Lenny Harris Memorial Fields at Braddock Park. It also featured the Seventh Annual Upcycling Showcase, where students from Alexandria City Public Schools presented creations based on this year’s theme of clean water. One of the organizers of the event, Lee Ann Tardieu, said the small steps people take make a difference.